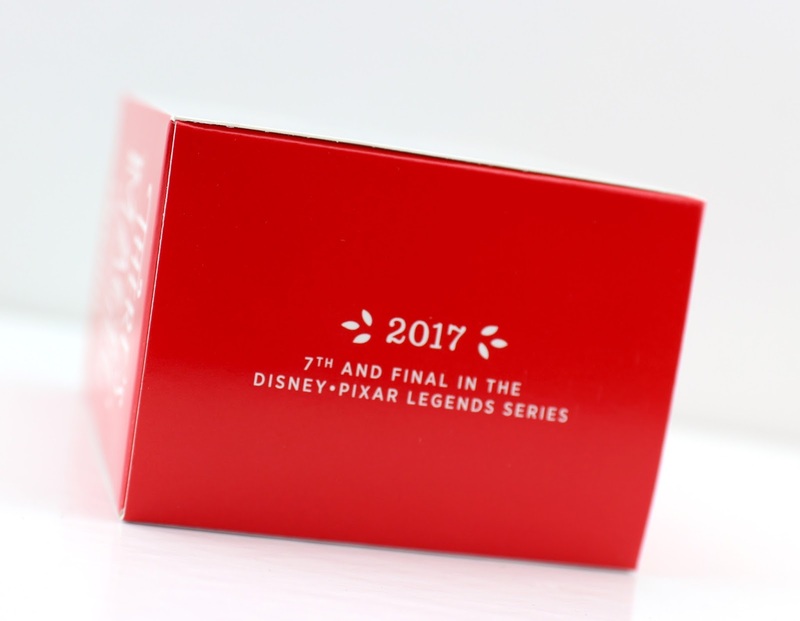 As a followup to yesterday's post on the 2017 Hallmark Keepsake Cars 3 Lightning McQueen ornament (definitely check that out HERE before moving on), here we have Dug from Up (with lights & sounds)— the second out of three Pixar themed Keepsake ornaments being released this holiday season at Hallmark! Note: The third this year is little Dory with her parents, however that won't be out until October. Stay tuned for my review on that one in the coming months. 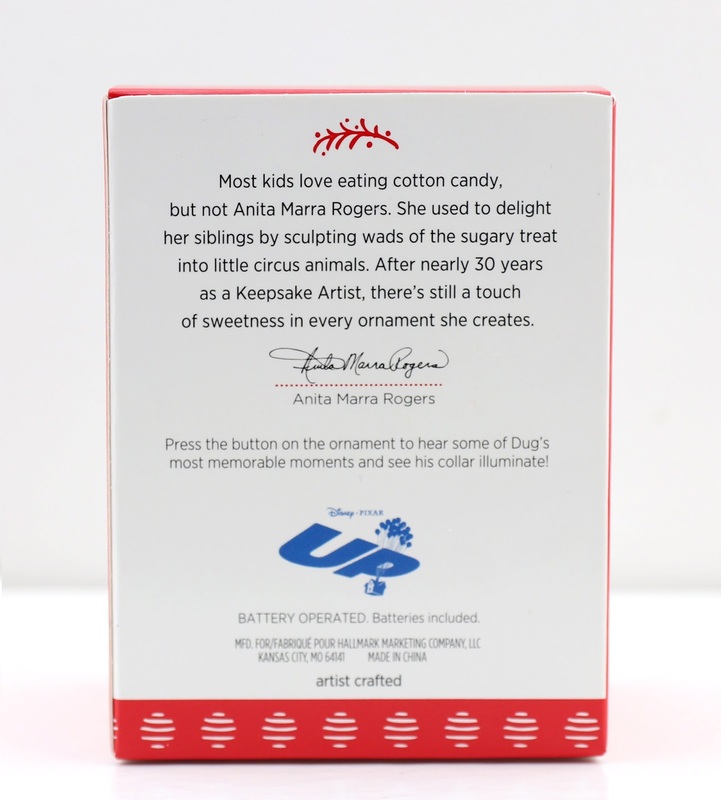 Like usual, each Keepsake is designed by a different artist within Hallmark. 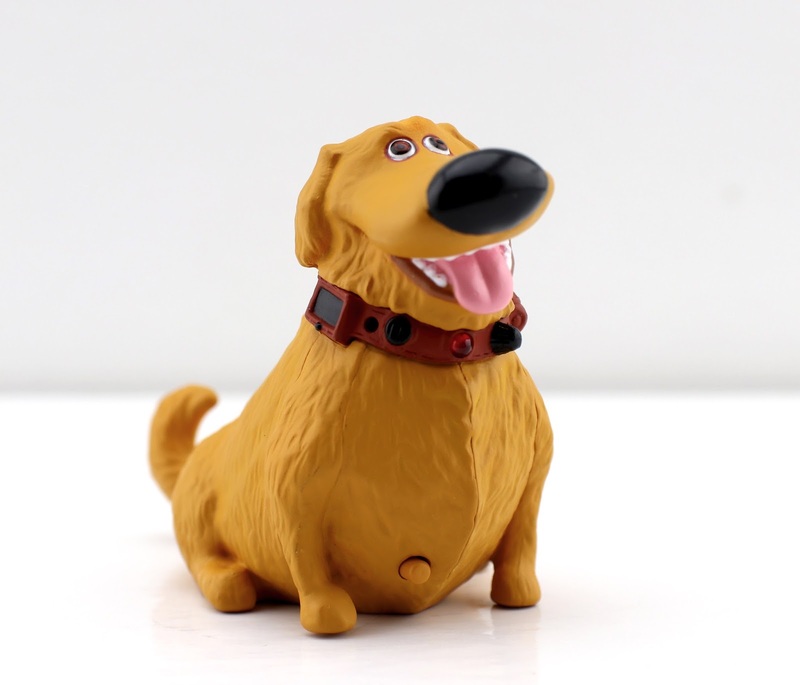 The look of this Dug ornament was created by Anita Marra Rogers who did an outstanding job capturing the character. "Hi there! My name is Dug. I have just met you and I love you." "I am a great tracker. My pack sent me on a special mission all by myself." "Have you seen a bird? I want to find one and I've been on his scent. I am a great tracker. Did I mention that?" "I can bark. [barking sounds] and here's howling [howling sounds]." What a perfect selection of quotes. And the best part? The light on his collar glows red when he speaks just like in the movie! Now that is cool. 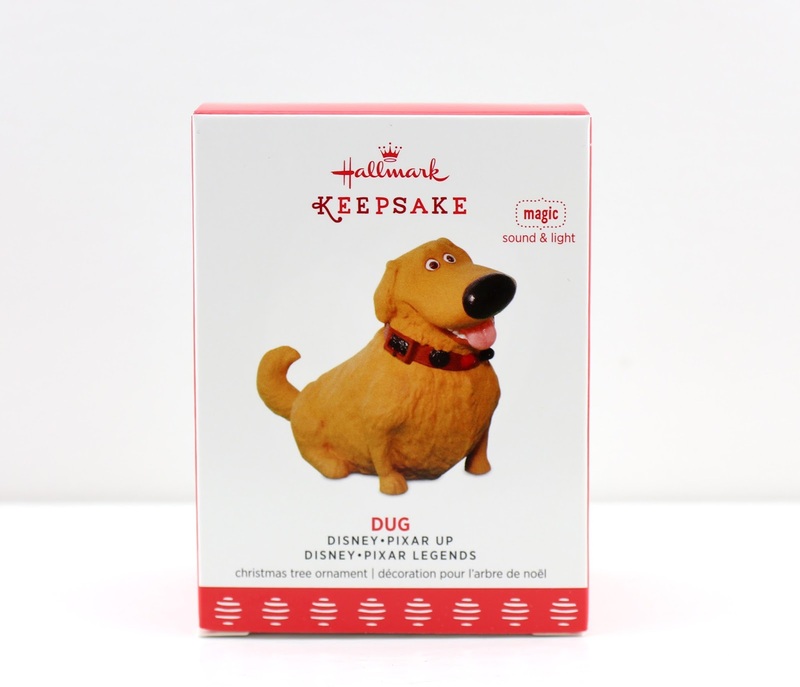 Retail price for this Dug is $17.95 and can be found right now at your local Hallmark store or online HERE. If you're a big Up fan, then this might be the perfect addition to your Christmas tree this holiday season (or maybe you know a big Up fan and this could be a great gift). Either way! 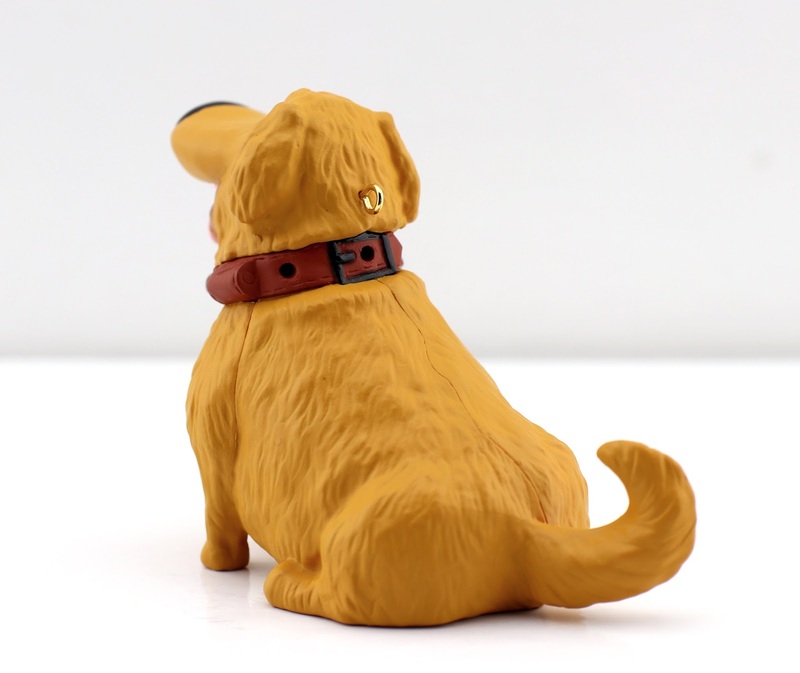 He also works as a display piece if you're just looking to add a little Dug figurine to your work/office desk space. 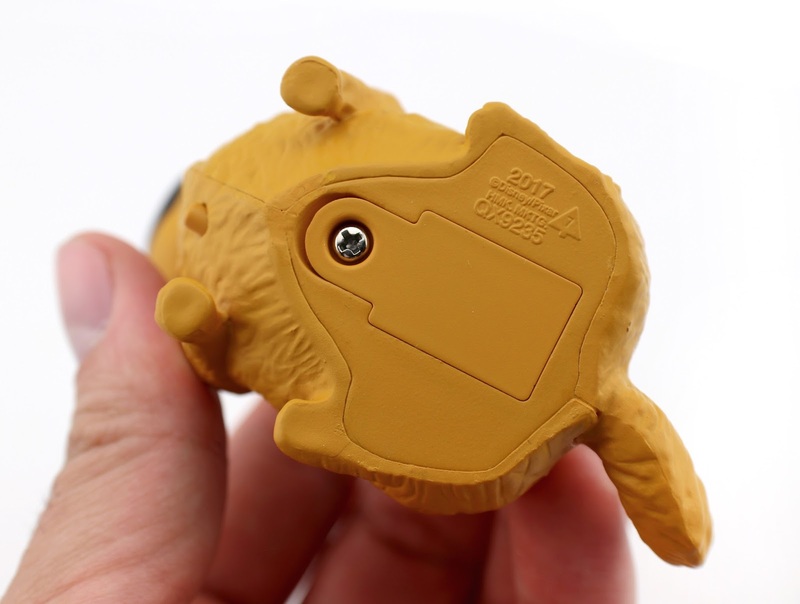 Lastly, you can watch his talking feature in action in my YouTube video review below. Another big thanks to Hallmark for sending me this to review! Let me know your thoughts in the comments below. Which Keepsake ornaments have you gotten/plan to get? Do you have an all time favorite from over the years? Shout it out!